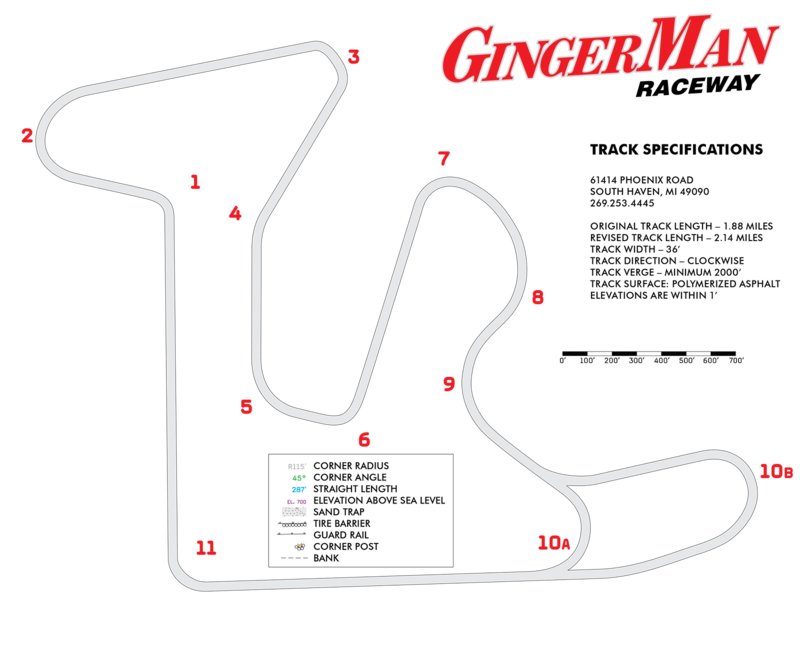 GingerMan Raceway is a private road-racing course situated on a 350-acre site. The track simulates a country road but in a controlled environment without the risks of pedestrians and oncoming traffic. 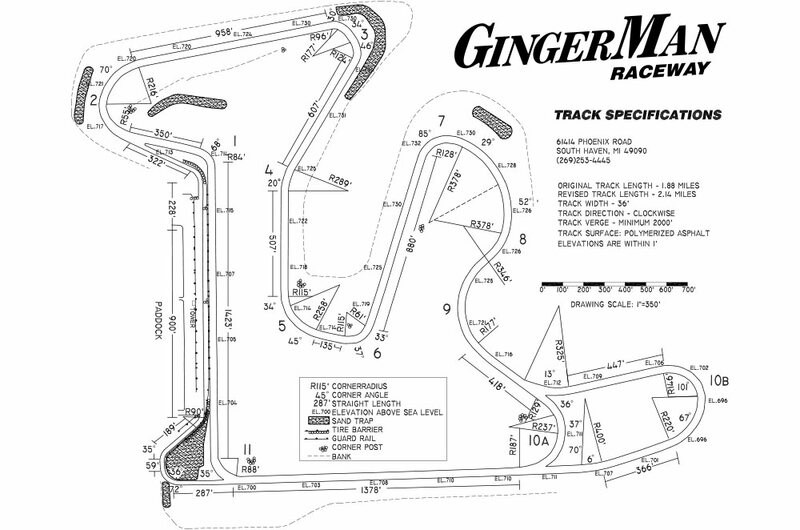 The GingerMan has also eliminated hazards such as ditches, utility poles, trees and other objects. 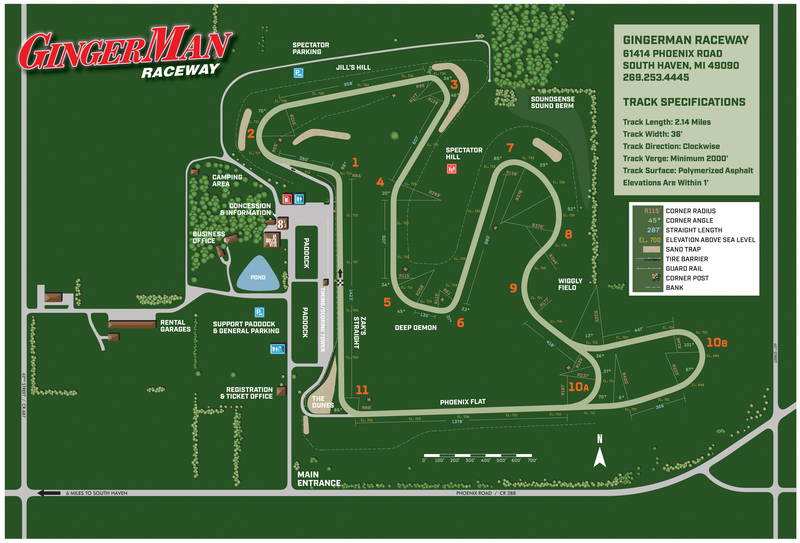 GingerMan is considered to be among the safest road courses in the nation. 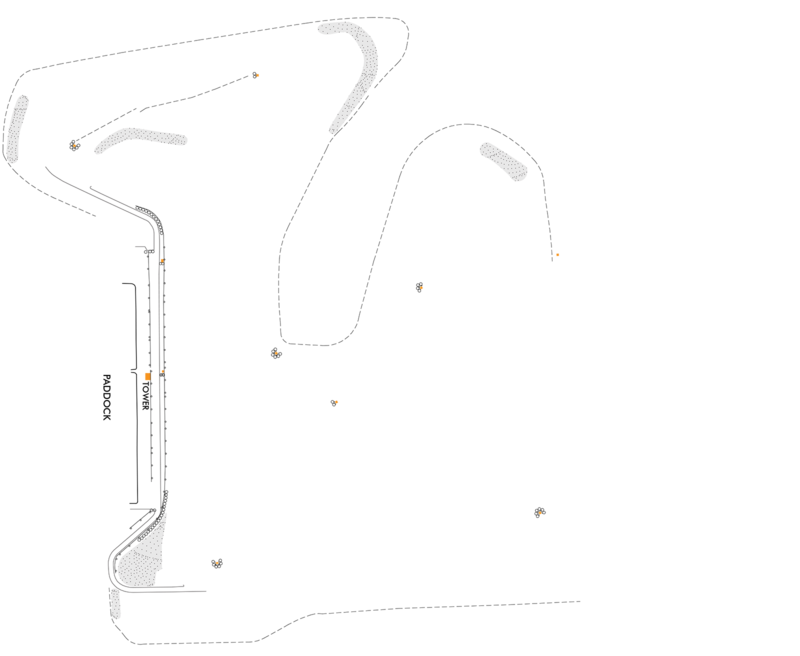 The course layout (see track specifications) simulates the full spectrum of driving situations: high speed straights and short sprints, long sweeping corners and tight apexes, heavy and light braking, and elevation change. The original track is 1.88 miles long. Corner 10 was extended in 2010 to add dynamic elevation change on a naturally rolling landscape. This extended the length of the back-straight to more than 1,700’. 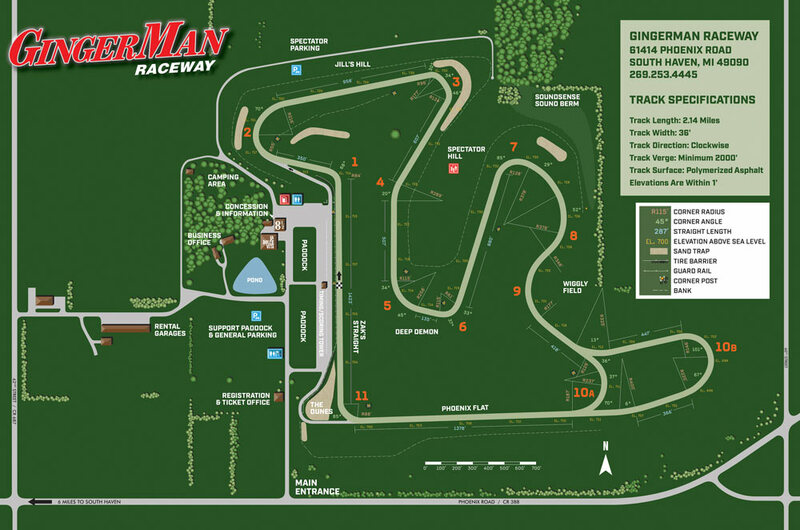 The track layout was developed by Alan Wilson of Motorsports Development, Denver, Colorado, to take advantage of the natural terrain. Track grading and paving was done by Klett Construction Company, a local firm, using special polymerized asphalt material formulated to stand up to the stresses of racing and Michigan winters. 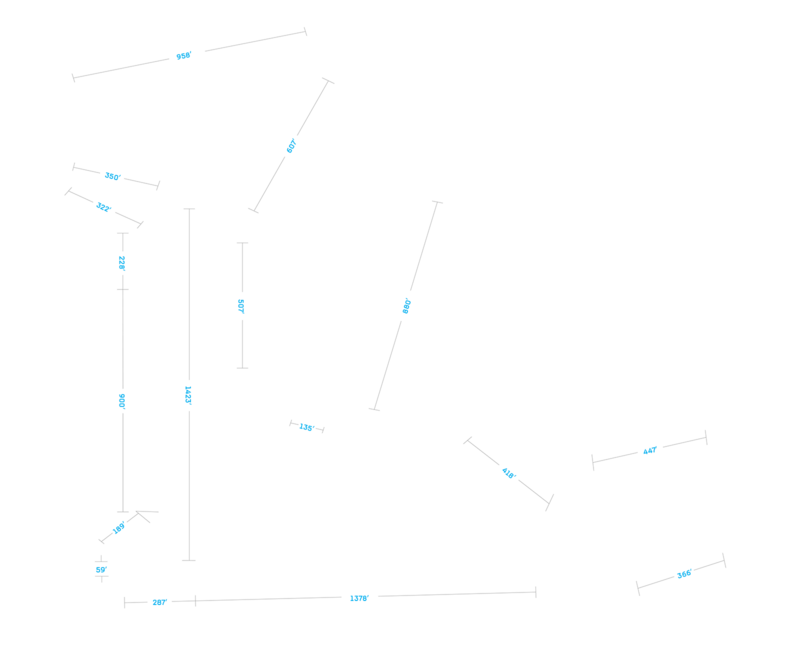 Track Specifications Map. Download PDF here. 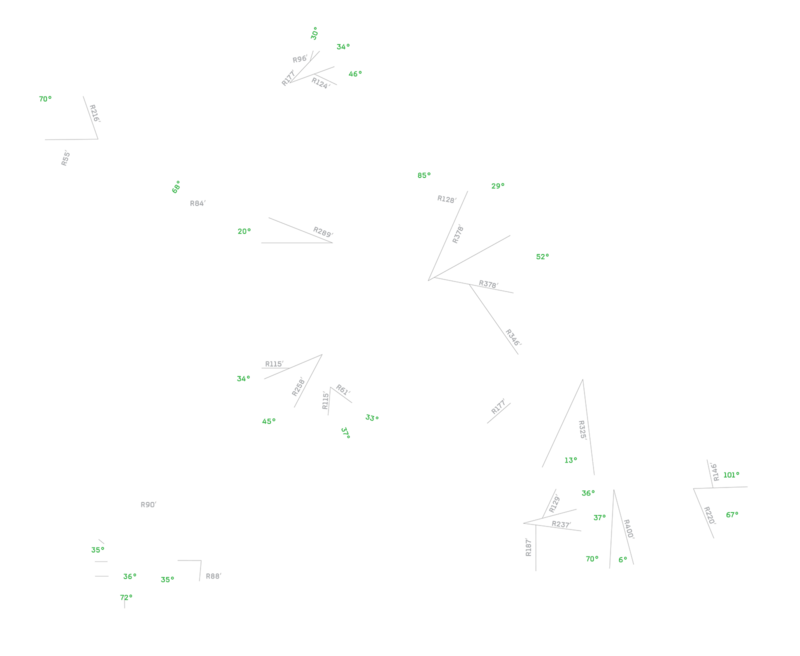 Facilities Layout Map. Download full-size here.